1. Dai LC, Yang B, Li H, Tan F, Zhu N, Zhu Q, He MX, Ran Y, Hu GQ: A synergistic combination of nutrient reclamation from manure and resultant hydrochar upgradation by acid-supported hydrothermal carbonization. Bioresource Technology 2017. 2. Dai LC, Tan F, Li H, Zhu N, He MX, Zhu Q, Hu GQ, Wang L, Zhao J: Calcium-rich biochar from the pyrolysis of crab shell for phosphorus removal. Journal of Environmental Management 2017, 198, Part 1:70-74. 3. Li R, Wang WG, Li F, Wang Q, Wang S, Xu Y, Chen F: Response of alternative splice isoforms of OsRad9 gene from Oryza sativa to environmental stress. Zeitschrift Für Naturforschung C 2017. 4. Liu S, Wang Y, Ruan Z, Ma K, Wu B, Xu Y, Wang J, You Y, He M, Hu G: Acinetobacter larvae sp. nov., isolated from the larval gut of Omphisa fuscidentalis. International Journal of Systematic & Evolutionary Microbiology 2017, 67:806-811. 5. Ma KD, He MX, You H, Pan LW, Hu GQ, Cui Y, Maeda T: Enhanced fuel ethanol production from rice straw hydrolysate by an inhibitor-tolerant mutant strain of Scheffersomyces stipitis. RSC Advances 2017, 7(50):31180-31188. 6. Song JL, Wang YW, Song Y, Zhao B, Wang H, Zhou S, Kong D, Guo X, Li Y, He MX et al: Brevibacillus halotolerans sp. nov., isolated from saline soil of a paddy field. International Journal of Systematic and Evolutionary Microbiology 2017, 67(4):772-777. 7. Su HF, Lin J, Tan FR: Progress and perspective of biosynthetic platform for higher-order biofuels. Renewable and Sustainable Energy Reviews 2017, 80:801-826. 8. Su H, Lin J, Wang Y, Chen Q, Wang G, Tan F: Engineering Brevibacterium flavum for the production of renewable bioenergy: C4–C5 advanced alcohols. Biotechnology and Bioengineering 2017:n/a-n/a. 9. Wu B, Zheng D, Zhou Z, Wang JL, He XL, Li ZW, Yang HN, Qin H, Zhang M, Hu GQ: The Enrichment of Microbial Community for Accumulating Polyhydroxyalkanoates Using Propionate-Rich Waste. Applied Biochemistry & Biotechnology 2017:1-14. 10. Xie F, He MX, Li H, Liu K, Li M, Hu GQ, Wen ZL: Bipartite network analysis reveals metabolic gene expression profiles that are highly associated with the clinical outcomes of acute myeloid leukemia. Computational Biology & Chemistry 2017, 67:150-157. 11. You Y, Liu S, Wu B, Wang Y-W, Zhu Q-L, Qin H, Tan F-R, Ruan Z-Y, Ma K-D, Dai L-C et al: Bio-ethanol production by Zymomonas mobilis using pretreated dairy manure as a carbon and nitrogen source. RSC Advances 2017, 7(7):3768-3779. 12. You Y, Wu B, Yang Y-W, Wang Y-W, Liu S, Zhu Q-L, Qin H, Tan F-R, Ruan Z-Y, Ma K-D et al: Replacing process water and nitrogen sources with biogas slurry during cellulosic ethanol production. Biotechnology for Biofuels 2017, 10(1):236. 13. Zhao Q, Li R, Gao Y, Yao Q, Guo X, Wang W: Modeling impacts of climate change on the geographic distribution of medicinal plant Fritillaria cirrhosa D. Don. Plant Biosystems-An International Journal Dealing with all Aspects of Plant Biology 2017:1-7. 14. Zhu J, Wang HM, Zhang Q, Dong WW, Kong DL, Wang YW, Song JL, Jiang X, Zhao SM, Zhang W: Arenimonas alkanexedens sp. nov., isolated from a frozen soil sample. Antonie Van Leeuwenhoek 2017:1-8. 15. Zhu Q-L, Dai L-C, Wu B, Tan F-R, Wang W-G, Tang X-Y, Wang Y-W, He M-X, Hu G-Q: Integrated Methane and Ethanol Production from Livestock Manure and Soybean Straw. BioResources 2017, 12(2):2284-2295. 1. Dai L, Li H, Tan F, Zhu N, He M, Hu G: Biochar: a potential route for recycling of phosphorus in agricultural residues. Global Change Biology Bioenergy 2016, 8(5):852-858. 2. Dong G, He M, Feng H: Functional Characterization of CRISPR-Cas System in the Ethanologenic Bacterium Zymomonas mobilis ZM4. Advances in Microbiology 2016, 06(3):178-189. 3. Guo X, Zhou S, Wang YW, Wang HM, Kong DL, Zhu J, Dong WW, He MX, Zhao BQ, Hu GQ: Paenibacillus salinicaeni sp. nov., isolated from saline silt sample. Antonie Van Leeuwenhoek 2016, 109(5):721. 4. He XL, Wu B, Li Q, Peng WH, Huang ZQ, Gan BC: Phylogenetic relationship of two popular edible Pleurotus in China, Bailinggu ( P. eryngii var. tuoliensis ) and Xingbaogu ( P. eryngii ), determined by ITS, RPB2 and EF1α sequences. Molecular Biology Reports 2016, 43(6):573-582. 5. 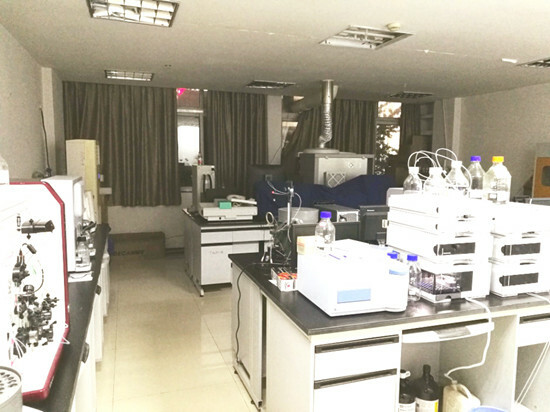 Hu J, Lin Y, Zhang Z, Xiang T, Mei Y, Zhao S, Liang Y, Nan P: High-titer lactic acid production by Lactobacillus pentosus FL0421 from corn stover using fed-batch simultaneous saccharification and fermentation. Bioresource Technology 2016, 214:74-80. 6. Kong D, Guo X, Zhou S, Wang H, Wang Y, Zhu J, Dong W, Li Y, He M, Hu G: Frigoribacterium salinisoli sp. nov., isolated from saline soil, transfer of Frigoribacterium mesophilum to Parafrigoribacterium gen. nov. as Parafrigoribacterium mesophilum comb. nov. International Journal of Systematic & Evolutionary Microbiology 2016. 7. Ma K, Chen X, Guo X, Wang Y, Wang H, Zhou S, Song J, Kong D, Zhu J, Dong W: Bacillus vini sp. nov. isolated from alcohol fermentation pit mud. Archives of Microbiology 2016, 198(6):559. 8. Ma K, Hu G, Pan L, Wang Z, Yi Z, Wang Y, Ruan Z, He M: Highly efficient production of optically pure l -lactic acid from corn stover hydrolysate by thermophilic Bacillus coagulans. Bioresource Technology 2016, 219:114-122. 9. Ma K, Ruan Z, Shui Z, Wang Y, Hu G, He M: Open fermentative production of fuel ethanol from food waste by an acid-tolerant mutant strain of Zymomonas mobilis. Bioresource Technology 2016, 203:295. 10. Ren X, Wang J, Yu H, Peng C, Hu J, Ruan Z, Zhao S, Liang Y, Peng N: Anaerobic and sequential aerobic production of high-titer ethanol and single cell protein from NaOH-pretreated corn stover by a genome shuffling-modified Saccharomyces cerevisiae strain. Bioresource Technology 2016, 218:623-630. 11. Song J, Wang Y, Song Y, Zhao B, Wang H, Zhou S, Kong D, Guo X, Li Y, He M: Brevibacillus halotolerans sp. nov., isolated from saline soil sample collected from paddy field. Int J Syst Evol Microbiol 2016. 12. Sousa LDC, Jin MJ, Chundawat SPS, Bokade V, Tang XY, Azarpira A, Lu FC, Avci U, Humpula J, Uppugundla N: Next-generation ammonia pretreatment enhances cellulosic biofuel production. Energy & Environmental Science 2016, 9(4):1215-1223. 13. Su H, Tan F, Xu Y: Enhancement of biogas and methanization of citrus waste via biodegradation pretreatment and subsequent optimized fermentation. Fuel 2016, 181:843-851. 14. Su HF, Zhu J, Liu G, Tan FR: Investigation of availability of a high throughput screening method for predicting butanol solvent -producing ability of Clostridium beijerinckii. BMCMicrobiology 2016, 16(1):160. 15. Tan F, Wu B, Dai L, Qin H, Shui Z, Wang J, Zhu Q, Hu G, He M: Using global transcription machinery engineering (gTME) to improve ethanol tolerance of Zymomonas mobilis. Microbial Cell Factories 2016, 15(1):4. 16. 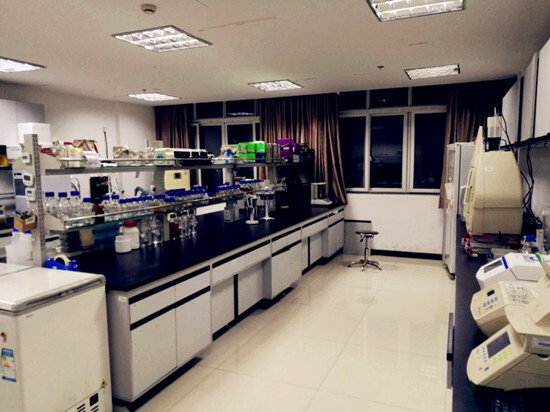 Wang JL, Li YB, Ruan ZY, You Y, Wang LS, Qin H, Liu S, Shui ZX, Wang YW, Tan FR: Complete genome sequence of strain Lentibacillus amyloliquefaciens LAM0015(T) isolated from saline sediment. Journal of Biotechnology 2016, 220(2):88-89. 17. Wang JL, Ma KD, Wang YW, Wang HM, Li YB, Zhou S, Chen XR, Kong DL, Guo X, He MX: Lentibacillus amyloliquefaciens sp. nov., a halophilic bacterium isolated from saline sediment sample. Antonie Van Leeuwenhoek 2016, 109(2):171. 18. Wang J-L, Wu B, Qin H, You Y, Liu S, Shui Z-X, Tan F-R, Wang Y-W, Zhu Q-L, Li Y-B et al: Engineered Zymomonas mobilis for salt tolerance using EZ-Tn5-based transposon insertion mutagenesis system. Microbial Cell Factories 2016, 15(1):101. 19. Wang W, Li R, Zhu Q, Tang X, Zhao Q: Transcriptomic and physiological analysis of common duckweed Lemna minorresponses to NH4+toxicity. Bmc Plant Biology 2016, 16(1):92. 20. Wu B, Wang X, Deng YY, He XL, Li ZW, Li Q, Qin H, Chen JT, He MX, Zhang M: Adaption of microbial community during the start-up stage of a thermophilic anaerobic digester treating food waste. Bioscience Biotechnology & Biochemistry 2016, 80(10):2025. 21. Xiang G, Shan Z, Wang Y, Song J, Wang H, Kong D, Jie Z, Dong W, He M, Hu G: Characterization of a Highly Thermostable and Organic Solvent-Tolerant Copper-Containing Polyphenol Oxidase with Dye-Decolorizing Ability from Kurthia huakuii LAM0618T. Plos One 2016, 11(10). 22. Zhou S, Guo X, Wang H, Kong D, Wang Y, Zhu J, Dong W, He M, Hu G, Zhao B: Chromobacterium rhizoryzae sp. nov., isolated from rice roots. Int J Syst Evol Microbiol 2016, 66(10). 23. 陈世平, 汤晓玉, 肖泽仪, 王文国, 尹小波, VENKATESH, Balan, 吴波, 胡启春: 玉米秸秆水解残渣厌氧消化的产气性能. 农业环境科学学报 2016, 35(3):584-589. 24. 郭翔, 阮志勇, 宋金龙, 周珊, 王彦伟, 何明雄, 刘小秧, 胡国全: Kurthia huakuii LAM0618T重组酚氧化酶LaclK对乙基紫脱色的研究. 生物技术进展 2016, 6(4):255-260. 25. 胡启春, 孙家宾, 汤晓玉, 王文国, 朱颢, 樊战辉: 四川沼液流转新模式调查分析. 中国沼气 2016, 34(3):85-89. 26. 冷静, 王文国, 刘文娟, 李为民, 杜全生, 温明章: 从国家自然科学基金项目资助看植物科学态势. 植物学报 2016, 51(3):369-376. 27. 朱颢, 胡启春, 汤晓玉, 邓良伟, 李谦: 德国《可再生能源法》实施及调整对其沼气产业发展的影响分析. 新能源进展 2016, 4(2):159-164. 28. 朱颢, 胡启春, 汤晓玉, 李谦: 丹麦集中式沼气工程发展模式分析与启示. 世界农业 2016(11):149-155. 1. Chen XR, Shao CB, Wang YW, He MX, Ma KD, Wang HM, Kong L, Guo X, Zhou YQ, Ruan ZY: Paenibacillus vini sp. nov., isolated from alcohol fermentation pit mud in Sichuan Province, China. Antonie Van Leeuwenhoek 2015, 107(6):1429-1436. 2. Dai L, Tan F, Bo W, He M, Wang W, Tang X, Hu Q, Min Z: Immobilization of phosphorus in cow manure during hydrothermal carbonization. Journal of Environmental Management 2015, 157:49-53. 3. Deng Y, Guo X, Wang Y, He M, Ma K, Wang H, Chen X, Kong D, Yang Z, Ruan Z: Terrisporobacter petrolearius sp. nov., isolated from enrichment samples collected from petroleum reservoir in Shengli oil field. International Journal of Systematic & Evolutionary Microbiology 2015, 65(10):3522. 4. Fan S, Chen S, Tang X, Xiao Z, Deng Q, Yao P, Sun Z, Zhang Y, Chen C: Kinetic model of continuous ethanol fermentation in closed-circulating process with pervaporation membrane bioreactor by Saccharomyces cerevisiae. Bioresource Technology 2015, 177(177C):169-175. 5. He Mx, Hu Q, Zhu Q, Pan K, Li Q: The feasibility of using constructed wetlands plants to produce bioethanol. Environmental Progress & Sustainable Energy 2015, 34(1):276-281. 6. Li R, Wang W, Wang W, Li F, Wang Q, Xu Y, Wang S: Overexpression of a cysteine proteinase inhibitor gene from Jatropha curcas confers enhanced tolerance to salinity stress. Electronic Journal of Biotechnology 2015, 18(5):368-375. 7. Shui ZX, Qin H, Wu B, Ruan ZY, Wang LS, Tan FR, Wang JL, Tang XY, Dai LC, Hu GQ et al: Adaptive laboratory evolution of ethanologenic Zymomonas mobilis strain tolerant to furfural and acetic acid inhibitors. Appl Microbiol Biotechnol 2015, 99. 8. Su HF, Liu G, He MX, Tan FR: A biorefining process: sequential, combinational lignocellulose pretreatment procedure for improving biobutanol production from sugarcane bagasse. Bioresource Technology 2015, 187:149-160. 9. Tan FR, Dai LC, Bo W, Han Q, Shui ZX, Wang JL, Zhu QL, Hu QC, Zhiyong R, He MX: Improving furfural tolerance of Zymomonas mobilis by rewiring a sigma factor RpoD protein. Applied Microbiology & Biotechnology 2015, 99(12):5363-5371. 10. 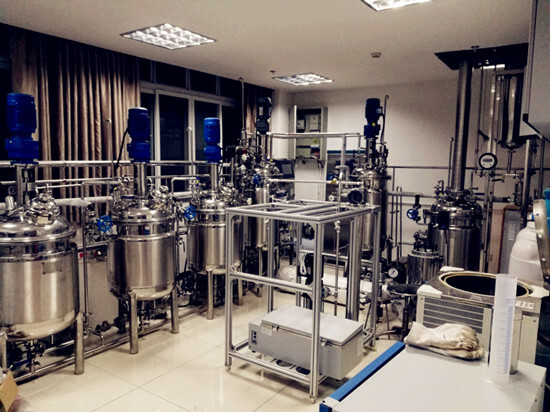 Tang X, Sousa LDC, Jin M, Chundawat SP, Chambliss CK, Ming WL, Xiao Z, Dale BE, Balan V: Designer synthetic media for studying microbial-catalyzed biofuel production. Biotechnology for Biofuels,8,1(2015-01-22) 2015, 8(1):1. 11. Wang H, Zhou S, Wang Y, Kong D, Guo X, Zhu J, Dong W, Ruan Z: Advenella alkanexedens sp. nov., an alkane-degrading bacterium isolated from biogas slurry samples. International Journal of Systematic & Evolutionary Microbiology 2015, 66(2). 12. Wang Q, Wei W, Li X, Sun J, He J, He M: Comparative study of alkali and acidic cellulose solvent pretreatment of corn stover for fermentable sugar production. Bioresources 2015. 13. Wang W, Yang C, Tang X, Zhu Q, Ke P, Cai D, Hu Q, Ma D: Carbon and energy fixation of great duckweed Spirodela polyrhiza growing in swine wastewater. Environmental Science & Pollution Research 2015, 22(20):15804-15811. 14. Zhang K, Shao H, Cao Q, He MX, Wu B, Feng H: Transcriptional analysis of adaptation to high glucose concentrations in Zymomonas mobilis. Applied Microbiology & Biotechnology 2015, 99(4):2009-2022. 15. Zhou S, Wang H, Wang Y, Ma K, He M, Chen X, Kong D, Guo X, Ruan Z, Zhao B: Oceanisphaera psychrotolerans sp. nov., isolated from coastal sediment samples. International Journal of Systematic and Evolutionary Microbiology 2015, 65(9):2797-2802. 16. 顾新娇, 杨闯, 王文国, 汤晓玉, 胡启春: 不同浓度养殖废水对青萍生长能力的影响. 环境工程学报 2015, 9(3):1103-1108. 17. 胡启春, 汤晓玉, 宁睿婷, 李谦: 与生猪产业发展联动的中国沼气工程建设现状分析. 农业工程学报 2015, 31(8):1-6. 18. 胡启春, 汤晓玉, 王文国, 朱颢, 宁睿婷, HUQi-chun, TANGXiao-yu, WANGWen-guo, ZHUHao, NINGRui-ting: 典型村庄规模沼气集中供气站运行情况调查分析. 中国沼气 2015, 33(6):63-67. 19. 马海霞, 张丽丽, 孙晓萌, 张怀强, 何明雄, 陈冠军, 王禄山, MAHai-Xia, ZHANGLi-Li, SUNXiao-Meng: 基于宏组学方法认识微生物群落及其功能. 微生物学通报 2015, 42(5):902-912. 20. 税宗霞, 秦晗, 吴波, 谭芙蓉, 王景丽, 何明雄: 从原料到产品:生物基丁二酸研究进展. 应用与环境生物学报 2015, 21(1):10-21. 21. 税宗霞, 王景丽, 秦晗, 吴波, 谭芙蓉, 何明雄: 产丁二酸运动发酵单胞菌的构建和发酵性能. 应用与环境生物学报 2015, 21(4):657-664. 22. 杨闯, 王文国, 马丹炜, 汤晓玉, 胡启春, YANGChuang, WANGWen-guo, MADan-wei, TANGXiao-yu, HUQi-chun: 耐高浓度沼液产油小球藻的分离鉴定与特征分析. 环境科学 2015(7):2707-2712. 23. 祝其丽, 何明雄, 谭芙蓉, 代立春, 吴波: 木质纤维素生物质预处理研究现状. 生物技术进展 2015, 5(6):414-419. 1. Dai L, Pan G: The effects of red soil in removing phosphorus from water column and reducing phosphorus release from sediment in Lake Taihu. Water Science and Technology 2014, 69(5):1052-1058. 2. Dai L, Wu B, Tan F, He M, Wang W, Qin H, Tang X, Zhu Q, Pan K, Hu Q: Engineered hydrochar composites for phosphorus removal/recovery: Lanthanum doped hydrochar prepared by hydrothermal carbonization of lanthanum pretreated rice straw. Bioresource Technology 2014, 161:327-332. 3. Fan S, Xiao Z, Tang X, Chen C, Zhang Y, Deng Q, Yao P, Li W: Inhibition effect of secondary metabolites accumulated in a pervaporation membrane bioreactor on ethanol fermentation of Saccharomyces cerevisiae. Bioresource Technology 2014, 162(6):8. 4. Fan S, Xiao Z, Yan Z, Tang X, Chen C, Li W, Deng Q, Yao P: Enhanced ethanol fermentation in a pervaporation membrane bioreactor with the convenient permeate vapor recovery. Bioresource Technology 2014, 155(4):229-234. 5. He MX, Wu B, Qin H, Ruan ZY, Tan FR, Wang JL, Shui ZX, Dai LC, Zhu QL, Pan K: Zymomonas mobilis: a novel platform for future biorefineries. Biotechnology for biofuels 2014, 7(1):101. 6. He M-x, Qin H, Yin X-b, Ruan Z-y, Tan F-r, Wu B, Shui Z-x, Dai L-c, Hu Q-c: Direct ethanol production from dextran industrial waste water by Zymomonas mobilis. Korean Journal of Chemical Engineering 2014, 31(11):2003-2007. 7. He M-x, Wang J-l, Qin H, Shui Z-x, Zhu Q-l, Wu B, Tan F-r, Pan K, Hu Q-c, Dai L-c: Bamboo: A new source of carbohydrate for biorefinery. Carbohydrate polymers 2014, 111:645-654. 8. Wang W, Tang X, Zhu Q, Pan K, Hu Q, He M, Li J: Predicting the Impacts of Climate Change on the Potential Distribution of Major Native Non-Food Bioenergy Plants in China. Plos One 2014, 9(11):e111587. 9. Wang W, Yang C, Tang X, Gu X, Zhu Q, Pan K, Hu Q, Ma D: Effects of high ammonium level on biomass accumulation of common duckweed Lemna minor L. Environmental Science and Pollution Research 2014, 21(24):14202-14210. 10. Wu B, He M-X, Feng H, Shui Z-X, Tang X-Y, Hu Q-C, Zhang Y-Z: Construction of a novel secretion expression system guided by native signal peptide of PhoD in Zymomonas mobilis. Bioscience, Biotechnology, and Biochemistry 2014, 78(4):708-713. 11. 顾新娇, 王文国, 祝其丽, 汤晓玉, 胡启春: 浮萍与奶牛粪混合厌氧干发酵研究. 环境污染与防治 2014, 36(7):18-21. 12. 何明雄, 吴波, 谭芙蓉, 王景丽, 税宗霞, 秦晗, 代立春, 胡启春: 运动发酵单胞菌在生物炼制中的研究进展. 生物技术进展 2014(5):331-339. 13. 苏小红, 王文国, 顾新娇, 潘科, 胡启春: 高氨氮对湿地植物污水净化效果的影响. 环境工程 2014, 32(1):29-32. 14. 谭芙蓉, 代立春, 吴波, 秦晗, 祝其丽, 王文国, 汤晓玉, 潘科, 苏海锋, 胡启春: 转基因技术在能源植物育种中的应用. 生物技术进展 2014(5):310-317. 15. 谭芙蓉, 吴波, 代立春, 祝其丽, 王文国, 汤晓玉, 潘科, 秦晗, 胡启春, 何明雄: 纤维素类草本能源植物的研究现状. 应用与环境生物学报 2014, 20(1):162-168. 16. 汤晓玉, 肖泽仪, 王文国, 陈春燕, 周一慧: 利用硅橡胶膜生物反应器适应性进化培育耐持久力酵母菌株. 酿酒科技 2014(3):4-8. 17. 赵琦, 王文国, 王跃华, 王胜华: 禾本科植物体细胞胚发生与器官发生的激素调控研究进展. 河南农业科学 2014, 43(2):6-10. 18. 祝其丽, 潘科, 汤晓玉, 王文国, 胡启春: 牛粪批次干发酵过程中腐植酸的变化趋势初探. 中国沼气 2014, 32(5):7-11. 1. Chen C, Tang X, Xiao Z, Zhou Y, Jiang Y, Fu S: Ethanol fermentation kinetics in a continuous and closed-circulating fermentation system with a pervaporation membrane bioreactor. Bioresource Technology 2013, 128(3):246-251. 2. Chen C, Xiao Z, Tang X, Cui H, Zhang J, Li W, Ying C: Acetone–butanol–ethanol fermentation in a continuous and closed-circulating fermentation system with PDMS membrane bioreactor. Bioresource technology 2013, 128:246-251. 3. He MX, Li Q, Liu X, Hu Q, Hu G, Pan K, Zhu Q, Wu J: Bio-ethanol production from bamboo residues with lignocellulose fractionation technology (LFT) and separate hydrolysis fermentation (SHF) by Zymomonas mobilis. Am J Biomass Bioenergy 2013, 1:1-10. 4. Mulinda C, Hu Q, Pan K: Dissemination and problems of African biogas technology. Energy and Power Engineering 2013, 5(08):506. 5. Mulinda C, 顾新娇, 潘科, 胡启春: 非洲沼气技术发展和潜力. 中国沼气 2013, 1:007. 6. Wu B, He M, Luo A, Zhang Y, Feng H, Hu Q, Zhang Y: Construction and characterization of restriction-modification deficient mutants in Zymomonas mobilis ZM4. Chin J Appl Environ Biol 2013, 19(2):189-197. 7. 淳俊, 王文国, 王胜华, 陈放: 水稻 (Oryzasativa L.) 愈伤组织发育过程中 A uxin-miR167-A RF8 信号通路的研究. 四川大学学报 (自然科学版) 2013, 4:037. 8. 顾新娇, 王文国, 胡启春: 浮萍环境修复与生物质资源化利用研究进展. 中国沼气 2013, 31(5):15-19. 9. 潘科, 祝其丽, 汤晓玉, 王文国, 胡启春: 填料在生活污水处理系统中的应用与研究. 中国沼气 2013, 31(4):17-20. 10. 苏小红, 汤晓玉, 顾新娇, 王文国, 何明雄, 胡启春: 基于去污效果和气候适应性的湿地植物筛选研究. 环境污染与防治 2013, 35(8):54-58. 11. 王文国, 苏小红, 汤晓玉, 侯远青, 胡启春: 用于农村生活污水处理的常见外来湿地植物的环境风险评估与管理. 生态与农村环境学报 2013, 29(2):191-196. 12. 张艳, 何明雄, 孙潇雅, 胡启春, 赵建: 甘薯膨胀素在毕赤酵母中的表达及在纤维素酶解中的协同作用. 四川大学学报 (自然科学版) 2013, 3:039. 13. 赵琦, 王文国: 我国淀粉植物的地理分布特征分析. 四川农业大学学报 2013, 31(2):176-181. 14. 祝其丽, 何明雄, 汤晓玉, 王文国, 潘科, 胡启春: 有机固体废弃物干发酵产沼气研究进展. 中国农学通报 2013, 29(18):21-26. 15. 祝其丽, 汤晓玉, 王文国, 潘科, 胡启春: 不同种牛粪干发酵产气特性比较试验研究. 环境污染与防治 2013, 35(3):57-60. 1. He M-x, Wu B, Shui Z-x, Hu Q-c, Wang W-g, Tan F-r, Tang X-y, Zhu Q-l, Pan K, Li Q: Transcriptome profiling of Zymomonas mobilis under furfural stress. Applied microbiology and biotechnology 2012:1-11. 2. He M-x, Wu B, Shui Z-x, Hu Q-c, Wang W-g, Tan F-r, Tang X-y, Zhu Q-l, Pan K, Li Q: Transcriptome profiling of Zymomonas mobilis under ethanol stress. Biotechnology for biofuels 2012, 5(1):75. 3. Wang W-G, Li R, Liu B, Li L, Wang S-H, Chen F: Alternatively spliced transcripts of group 3 late embryogenesis abundant protein from Pogonatherum paniceum confer different abiotic stress tolerance in Escherichia coli. Journal of plant physiology 2012, 169(15):1559-1564. 4. Yan Z, Ming-Xiong H, Bo W, Qi-Chun H, Qing L, Jian Z: Recombinant EXLX1 from Bacillus subtilis for enhancing enzymatic hydrolysis of corn stover with low cellulase loadings. African Journal of Biotechnology 2012, 11(50):11126-11131. 5. Zhao Q, Wang W, Wang Y, Xu Y, Chen F: The effect of curcin from Jatropha curcas on apoptosis of mouse sarcoma-180 cells. Fitoterapia 2012, 83(5):849-852. 6. Zhu QL, Hu QC, Pan K: Analysis on Large-Scale Pig Farm and the Development of Biogas Engineering-Taking Qionglai City as an Example. In: Advanced Materials Research: 2012. Trans Tech Publ: 2854-2859. 7. 李锐, 王文国, 范林洪, 王胜华: 金发草 LEA3 基因两个剪接体转化酿酒酵母的抗非生物胁迫功能分析. 中国生物工程杂志 2012, 8:007. 8. 青鹏, 祝其丽, 胡启春, 孙辉: 奶牛养殖污水厌氧消化液好氧后处理的试验研究. 中国沼气 2012, 30(5):29-34. 9. 王广珺, 何明雄, 张义正: 运动发酵单胞菌共表达 α-淀粉酶和葡萄糖淀粉酶发酵甘薯生产乙醇. 应用与环境生物学报 2012, 18(5):785-790. 10. 王文国, 苏小红, 何明雄, 潘科, 胡启春: 川中丘陵区水源地滨岸缓冲带自然植被调查与分析. 中国水土保持 2012(5):21-22. 11. 王文国, 杨汉常, 胡启春, 潘科, 樊毅: 丘陵区村镇水厂取水水源地水环境特征与综合治理——以四川省乐至县为例. 中国农村水利水电 2012(3):33-35. 12. 王文国, 祝其丽, 张翔, 周芸, 胡启春: 四川省农村饮水安全现状与环境治理对策. 中国农村水利水电 2012(1):109-111. 13. 祝其丽, 王文国, 何明雄, 潘科, 胡启春: 规模化养殖场畜禽粪便发酵还田负荷估算及风险评价——以四川省邛崃市为例. 环境污染与防治 2012(2012 年 07):85-89.